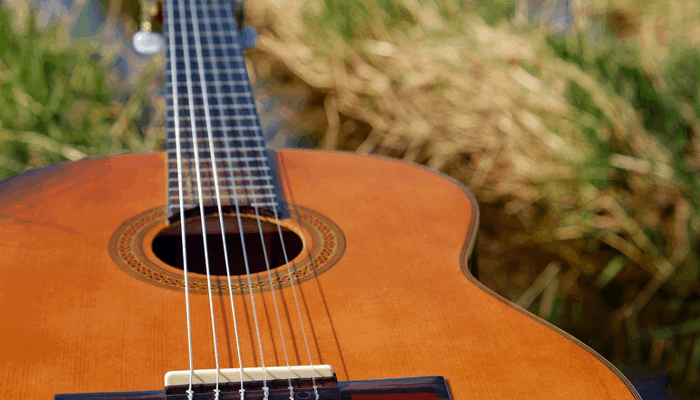 In this article, we are serving up the 7 best cheap acoustic guitars, for those of you surfing in circles as there is certainly no shortage. In recent years getting your mitts on an affordable acoustic guitar has never been so accessible. 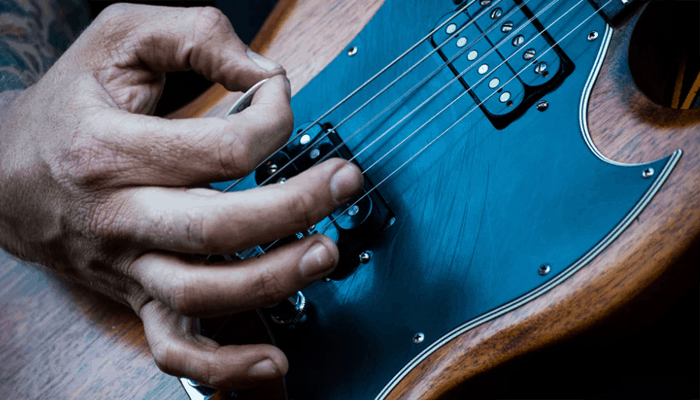 Many leading brands are producing top-notch instruments with smaller price tags than ever before. Now we all know that in a saturated market, there are always products masquerading right beside the best so we have done our best to sniff out the gems from the junk. Low budget regions tend to be heavily competitive so you will find many offer a very similar level of quality and play-ability and that the materials used only differ marginally, this can make the better ones increasingly more difficult to spot. What to look for in a cheap acoustic guitar? 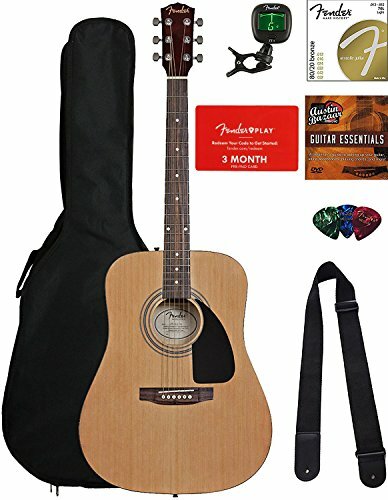 What cheap acoustic guitar for beginners? 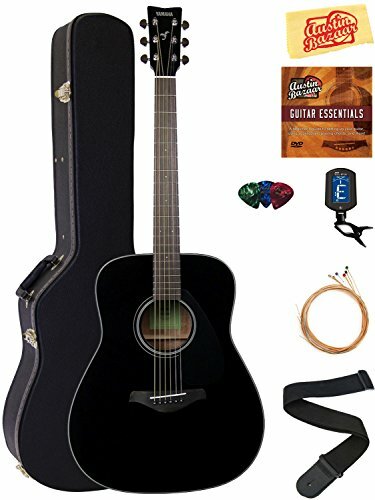 Best quality cheap acoustic guitar? 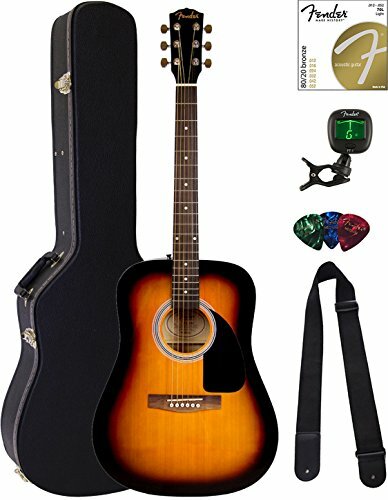 To help you get a bargain that is of some real value we have reviewed what we feel are 7 of the best and to help clue you in on what really makes a decent cheap acoustic we have also provided an informative buyers guide, which should prove effective in assisting you in your shopping endeavors. For those with a budget of $500 or below, see our review on the top acoustic guitars under $500. 20 frets 25.3 scale length. Yamaha is synonymous with producing great student model guitars. The FG830 is an affordably priced, well-constructed dreadnought shaped cut-away acoustic folk guitar. The 800 series was introduced in the 1960s and the original FG180 became an instant classic, on a whole the series is louder and stronger in mid to low ranges as Yamaha's engineers ran analyses and simulations through their R&D division to find the best bracing design. They moved away from traditional bracing with their 800 series and instead opted for a scalloped bracing pattern which maintains top board durability and better enhances the guitars natural sound. Thanks to Yamaha's research the FG830 has rich overtones and great sustain. Its bound neck is nato with a rosewood fretboard, the body is rosewood as well and has a large depth to deliver improved sound. It has a solid Sitka spruce top which is a fantastic tonewood. It has an adjustable truss rod and die-cast tuners. The It is available in six color selections and The sound-hole has an abalone inlay. Why We Liked It - It is an ideal entry level model The scalloped bracing allows vibrations to resonate more freely creating optimal sustain. The DR-100 is one of the best sounding guitars around at its price level. It is one of their entry-level products from their hugely popular series. Epiphone has worked hard to earn their own rightful place in the top of the market from their roots which started out essentially making very close bootleg versions of top brand guitars, now they respectably hold their own and are held in good regards. It is a solid topped, dreadnought style mahogany bodied beauty. It has a select spruce soundboard, spruce has great resonance. The fingerboard and bridge are Indian rosewood. The head-stock has a slightly increased incline, tilted at an angle of 45 degrees creating a grating pressure at the nut. It is a 22.5 scale which is a full size and a little bit of a stretch for some, so maybe not a great selection for younger learners. It comes in 3 different finishes natural vintage and sunburst which is a head turner. It is lightweight and comes set up with a set of light steel strings. They give a fantastic bright tone and have fantastic prescience and clarity. The action is nice and low which suits a beginner and there is no noticeable fret buzz. Why We Liked It - This one has an amazing tone straight out of the box it has outstanding trebles but you may want to switch them out for a more balanced sound if you don't like your lows out-shone. Next up on our list is an entry from Fender, the FA-100 is the flagship model of their affordable acoustic line. It is another dreadnought shaped model choice again featuring a laminated spruce top. Spruce is a typical wood at the lower price end, as not many tonewoods offer such a good dynamic response. It is great for a wide range of playing styles and give a bright resonance. The top is supported by effective x bracing and body binding. It has a c-shaped neck and features the familiar fender head-stock shape and pick-guard. It has a smooth rosewood fingerboard which is 20 frets in length with pearl dots. It also has a rosewood bridge with a compensated synthetic bone saddle and chrome hardware. It is strung with a bright set of steel fender Duratone strings (0.012-.052 gauge). 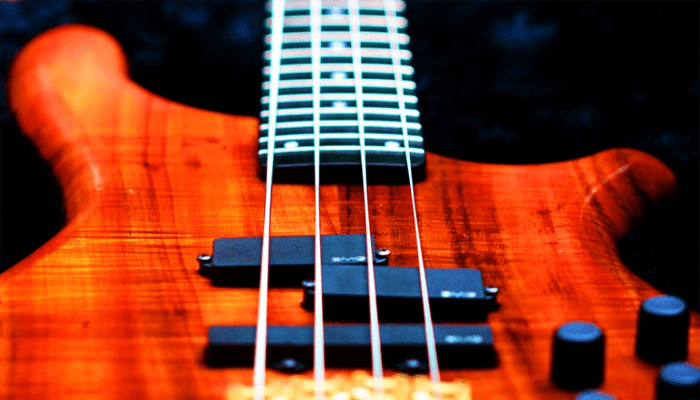 The nut width is 42mm and it has a dual action truss rod. The whole thing has a gloss finish. It provides full and vibrant tones and is suitable for strumming and delicate fingerpicking styles. It retails at a low price and sells as a bundle starter kit with a bunch of handy accessories valuable for any beginner. + 20 frets 25.3 scale length. Why We Liked It - Fender make some great acoustics, some of their lower end models don't keep super accurate intonation at higher frets but the FA-100 makes for an impressive budget guitar. This acoustic guitar from Oscar Schmidt is a ¾ length guitar which makes for a perfect sized started guitar or spare guitar. Smaller models are also great to take on a weekend away. The price tag is exceptionally low from a notable brand like Oscar Schmidt. It is a well designed and well built short scale guitar. The back and sides are Catalpa and other woods are listed as a Tech wood as some of it has been engineered. 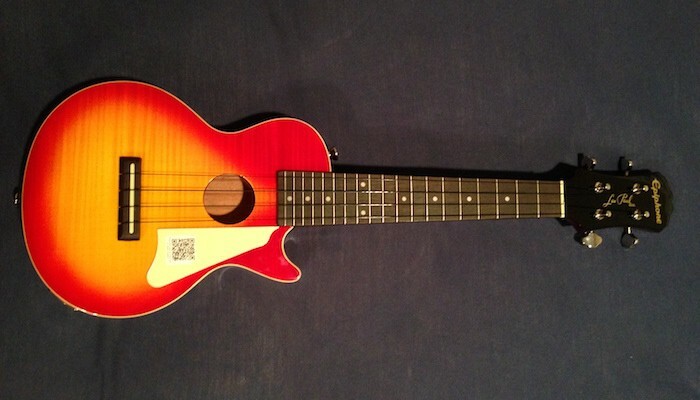 It has a fixed bridge system and it has 14 frets free of the neck and 20 in total. It is available in a variety of colors and finishes. It has an adjustable truss rod and thin neck it Is ideal for smaller hands and younger players. It comes with a set of D'Addario acoustic strings which as you know, we are big fans of. It has a great overall tone and can project fairly well considering its reduced size. It is not muddy and resonates well. + 3/4 size full scale. Why We Liked It - Oscar Schmidt have managed to build this one with some great features for very little outlay due to their alternative wood sourcing and engineered fret-board. It makes for one of the cheapest acoustic guitars. The FA 115 is a replacement upgrade from the 100 line which is slowly disappearing as Fender move away from a laminate manufacture. It doesn't differ very much from the 100 we previously reviewed it also sells as a bundle with everything you could possibly want as a new player but it has a solid top. This option is a sunburst design which comes in a choice of three colors, which is very eye-catching with its darkened edges. It is spruce topped a strong and bright dynamic tonewood choice and as you have probably gathered very typical in budget guitars. It has laminated mahogany back and sides to its body which is dreadnought shaped and gloss finished. It has a hardwood bridge and fretboard which is 20 fret length and a 43mm plastic nut. The pickguard is single ply and black to match the darkened rims of the sunburst pattern. It is pretty well balanced as far as the sound goes and the lows are pleasantly present The frets are low and it plays effortlessly with zero "buzz". + best inexpensive acoustic guitar. 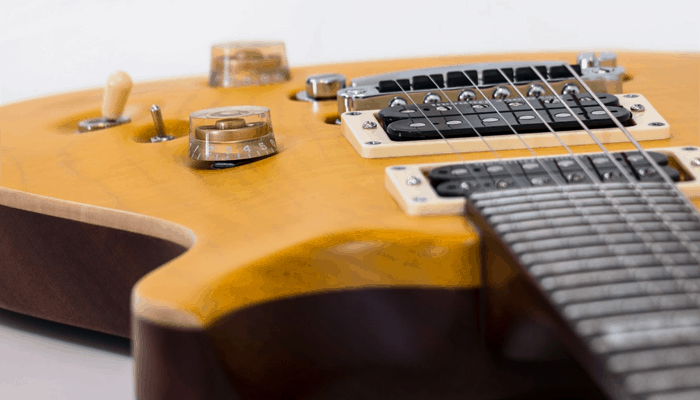 Why We Liked It - It is a very reasonably priced guitar it features a solid top which we don't typically see at this level and also comes with a range of accessories including a case and stand which makes it exceptional value for money. Another shining, entry-level example from ~Yamaha's ever-popular 800 series this time the one that kick-started it all theFG800 itself. It is a superbly balanced, loud volume acoustic and one of their best-sellers. It is a traditional western shaped guitar and again boasts the 800 series revolutionary scalloped bracing beneath its lovely solid spruce top. The innovative bracing provides optimal acoustic resonating properties. The scale length is 25.9/16” and the nut width is 43mm. The neck and back is nato and the sides are okume they help to produce a deeper warmth and a richer sound. The fingerboard is rosewood and a comfortable size, it has a built-in truss rod to adjust the action for playing preference and ability. It comes in exclusively black or natural as a choice of styles and has die-cast chrome tuners. This one also sells as a bundle option adding value to your purchase and making it a great choice for those starting out as well as hobbyists who don't want to shell out too much on their interests. It includes a hard case which is vital for storing your instrument safely. Why We Liked It - Yamaha make outstanding affordable products they are aimed at beginners and hobbyists and the fuller sound on this one is difficult to beat, this one has a pretty decent package with it sometimes bundles can be little more than filler to justify a price step-up but the hard case is a welcomed and valuable addition. 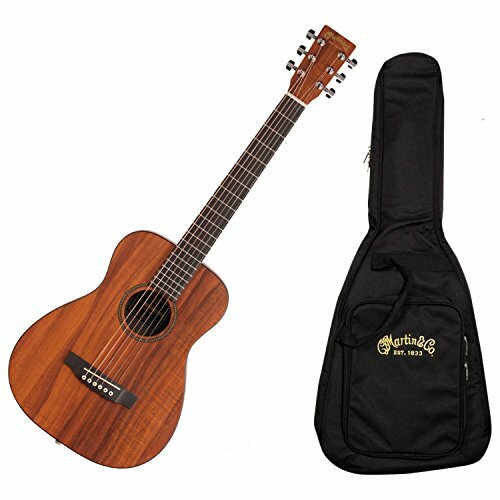 The Little Martin Koa is a 23-inch scale guitar which features all the brands typical quality manufacturing elements, for example, it's patented neck mortise. It is, of course, a dreadnought shape, for those of you that don't know the Martin company are actually accredited with inventing the original dreadnought shape which many acoustics emulate. It has a strong 1-style Sitka spruce bracing for increased durability and is constructed with compressed spruce laminate. It has got a nickel plated tuners. Its scale size means it is ideal for smaller hands and children but it's modified body size also makes it a fantastic travel item which is its intended use. The company have put a heap of thought into the target customer base the laminate choice makes it better suited for weathering as well as keeping the costs down of course. It is aesthetically pleasing with its Koa design it is available in a variety of colors. It has a great natural tone and really does deliver a martin sound in a smaller package. + Full well balanced sound. + Awesome grab and go guitar ideal for travel. Why We Liked It - The sound quality is great, a decent Martin normally sets you back a little more but the size compensation has reduced costs in this case and the sound remains compromised. When you are shopping for great cheap acoustic guitars, It is usually a good idea to go with a brand you can trust. Some cheap instruments out there are poorly constructed and sound simply awful. Leading brands have the profits to sink into the development of accessibly priced versions of their best selling products. They also have the means to facilitate the manufacture on a larger scales which again reflects in the final retail price. 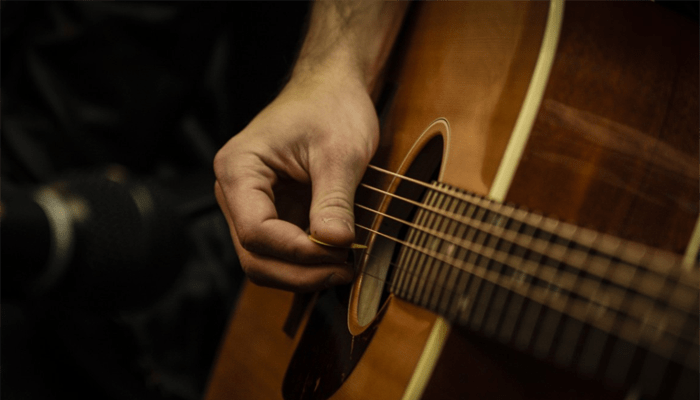 You mustn't ever expect too much of a budget acoustic guitar but there are some things to look for before you part with your cash. The woods used should still be good quality tonewoods, most of those we reviewed here today were spruce top. Spruce is a pretty standard cheap and strong choice, it resonates really well and even high-end guitars will sometimes opt for spruce tops for its acoustic properties. You will probably find at around the 100 dollar price range there will be those that include laminate version but there are a fair amount of solid topped budget guitars to choose from. Laminate tops will never sound as good as a solid top they don't reverberate nearly as truly and so can't resonate as well in comparison. If you are looking for a cheap guitar to haul about or travel with they can make a good cheap acoustic guitar option you can lug about, laminates are also better with outdoor weather than its solid bodied buddies. Anything 2-5 hundred may feature better woods and will definitely be better made. Typically you can expect a bundle with this but consider if you need the items if you are not a complete beginner. If a bundle costs $300 and has $50 worth of accessories make sure you have 250 dollars worth of guitar. Beginners will need a guitar with low action and possibly a narrower neck. 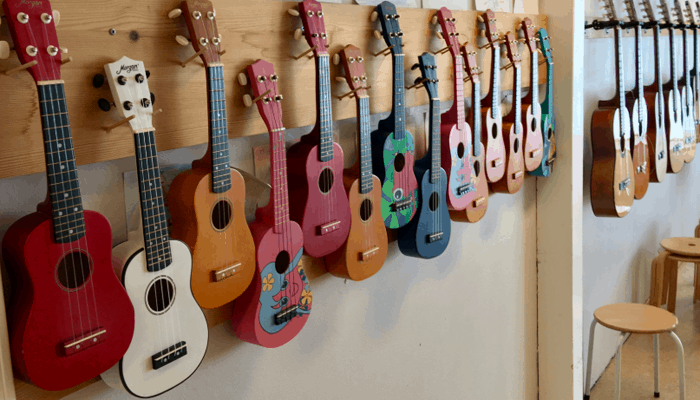 If you are a young learner (or buying for a younger learner) you might want a junior model or a shortened scale length. 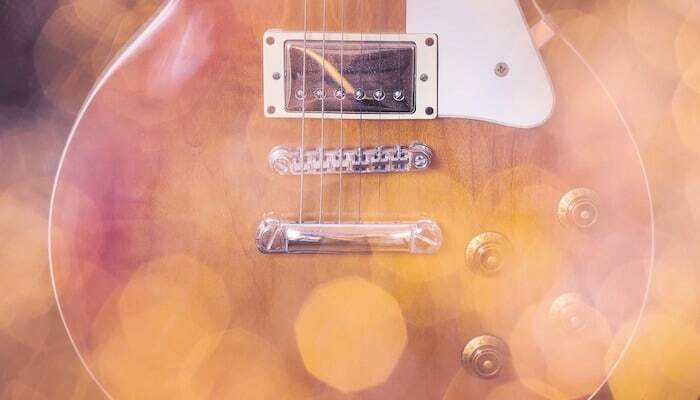 Beginners ought to opt for a bundle style starter pack most come with a range of essential items for your guitars care and maintenance as well as vital items like picks and tuners which you will only need to purchase in addition later anyway. From our reviews, we suggest either of the Yamahas they make great quality student models and really know their stuff when it comes to learner models with their beneficial years of involvement throughout music education. If you can't stretch to the Yamaha price, then one of the fender bundles we have reviewed will probably better suit your budget. The best quality depends on how we are defining the quality so we have picked one for best sound quality for its cost from those we have reviewed and one for best manufacturing and build quality. The Epiphone model it provides the best quality sound it is budget priced and it is rich and warm and well balanced. The Yamaha 800 is one of the best quality guitars we have reviewed in this article and takes first place, however, it is one of the most expensive models on the list. 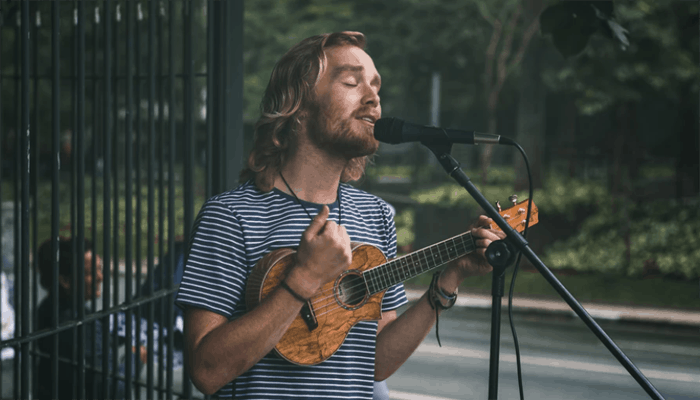 For a decent sounding cheap acoustic instrument made from quality components you should probably expect to be looking in excess of the $250 mark there are some below this which are suitable for beginners before they move on to better models. 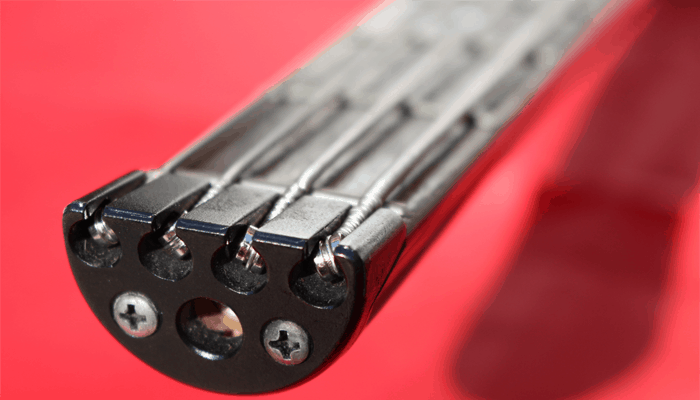 If you are after dirt cheap, The Oscar Schmidt is the cheapest of all our reviews are we are pleasantly taken aback at how they have managed to include inbuilt truss rods and other modifications for such a steal. Usually, if you are shopping in the lower price range it is for one of 3 reasons, you are a beginner, you have no spare cash flow or you need a cheap knockabout to spare your pride and joy. Whatever the reason the key requirements pretty much remain the same, good durability, well made but from cheaper products and ultimately something that sounds a good as the dollars spent can sound. We really do feel that the acoustic guitars that we have reviewed today each fulfill the requirements. After reading our break down of each instrument it is probably very apparent that they don't differ on the whole too much from one another which is to be expected as more expensive woods are just not viable to use when you are competing with bottom -dollar price tags. On the whole, our reviewed contenders give a good representation of what is available and each has its merits and the best cheap acoustic is close to call but if we had to pick a winner our favorite is the Epiphone. It really does seem to have it's own defined sound and is beautifully constructed from good tonewoods. This along with its tempting price tag means it ticks all the boxes as far as we are concerned. If you prefer a boosted bass than it has you can upgrade the strings to your preference. As long as you give your individual needs some careful consideration you will undoubtedly find the right guitar for you. A guitar can be a very personal thing so it is always a good idea to give one a try if you can get access. We hope our reviews and buyers guide will serve as a great reference and provide you with what you need to make an informed purchase. If you are after a cheap acoustic guitar because you want something to travel with that you haven't paid an arm and a leg for you might find our best travel guitars 10 Best Travel Guitars in 2019 article. 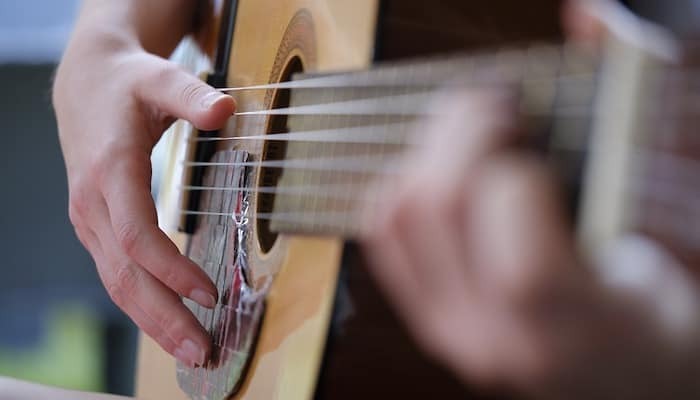 The strings of your guitar can have a dramatic impact on its acoustic sound, some compliment your instrument better than others. Stock strings are rarely the best available.